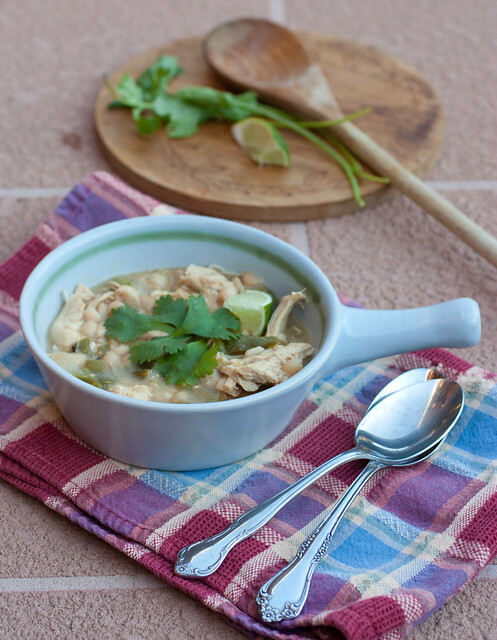 This white chicken chili is also something different; a change from the normal conception of consider chili. At least my conception of chili. Growing up, chili was dark, meaty, heavy, with cheese on top. To be honest, my mom made it while I was a picky eater, so I ate macaroni and cheese for dinner instead. But this chili is light, creamy, chicken-y, and loaded with flavor. I love that it’s thickened up with a cornmeal and milk mixture; it adds a rustic texture and flavor. I thought we had cornmeal on hand, but it turned out to be cornbread mix. It worked fine, and simply tasted like the side of cornbread was mixed right into the dish! 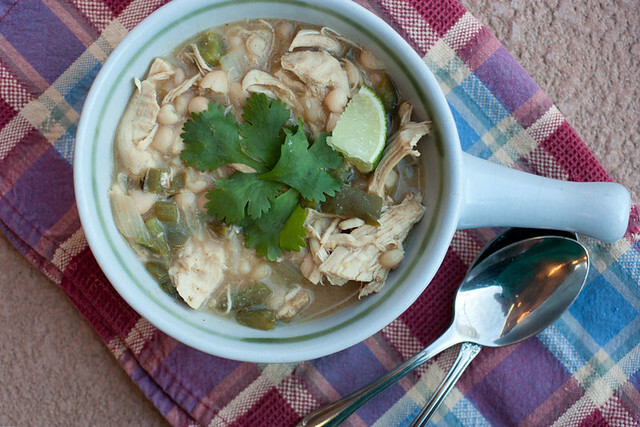 The white chicken chili was quick to make and stores great in the freezer, so give it a shot. Whether you’re a college student or out in the “real world,” a quick, yummy meal is something we can all agree on. Bring a large pot of water to boil. Add chicken breasts and cook for 15-20 minutes, until no pink remains in the center. Drain and set chicken aside to cool. When cool, shred with two forks and set aside. Combine the cornmeal and milk together in a small bowl and set aside. In a large pot, heat the olive oil over medium-high heat. Add the bell peppers, onion, and jalapeño and cook until tender, about 8-10 minutes. Add the shredded chicken, green chilis, beans, chicken broth, and spices into the pot. Bring to a boil. Reduce heat, cover, and simmer for 20-30 minutes. Add the cornmeal and milk to the pot and simmer for another 10 minutes. Remove and let stand for 10 minutes to thicken. Top with sour cream and cilantro. Enjoy! Looks tasty! I think you could make the chicken even better if you avoided boiling it. Have you tried poaching? Instead of using a full pot of boiling water, add enough just to cover, bring to a boil, cover the pot and drop to a very slow simmer. 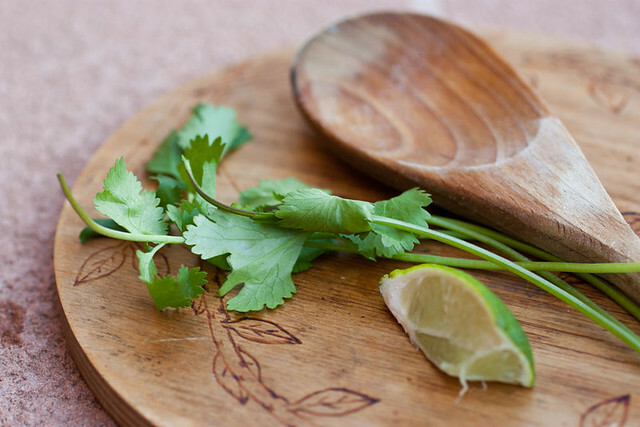 You’ll end up with a juicier shredded chicken, and you can even poach in a broth or add herbs to the poaching liquid. Don’t worry if it’s not FDA safe cooked all the way through when you stop poaching, because you’re going to bring it back to temp when you add everything to the chili.